Your local independent oven cleaning company from Herefordshire. That’s right. Just what you’re looking for. We are based in Herefordshire, and cover Hereford, Ross-on-Wye, Ledbury, and all villages in between. We are a family-run company, not franchisees. You can be sure all profits stay in the U.K., not sent overseas to a large holding company. Our oven cleaning method is unique. All other companies soak parts in vehicle-based soaking tanks, but we work right by the oven, keeping out of the way. This is much less disruptive for the customer, and our system is safe for children and/or pets. I bet you don’t want your front door open in all weathers! Our approach is always to be polite, punctual, and professional. You can be sure of personal attention from your first enquiry to the final flick of the duster when we polish the oven door. 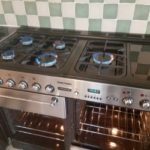 … and just so you know, we clean all domestic cooking appliances. We also clean cast iron ranges (Aga, Rayburn, Esse, etc. 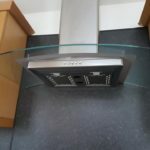 ), as well as microwave and steam ovens, hobs, and extractors. 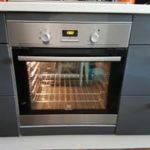 We are sure we are the best oven cleaning company from Herefordshire. © 2016 Oven Range Cleaning.